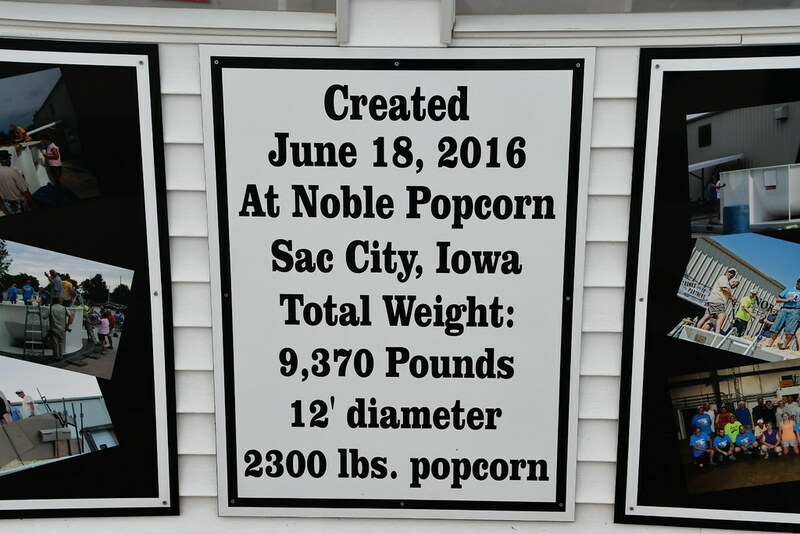 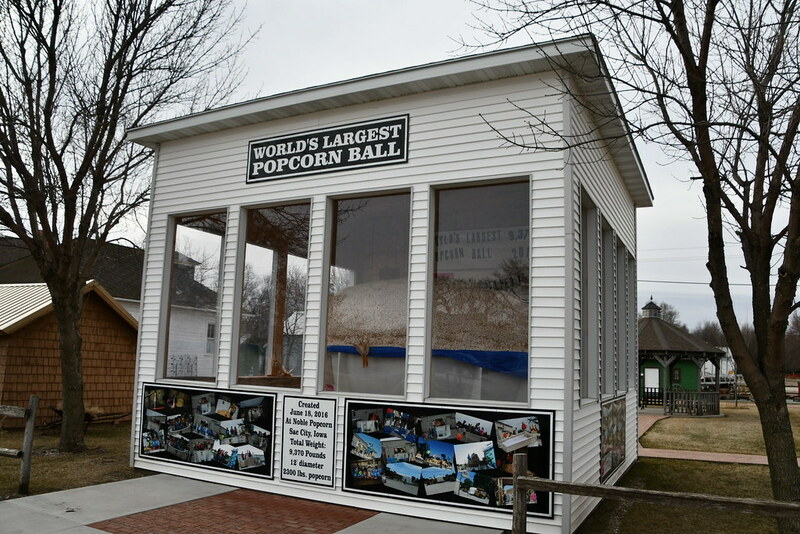 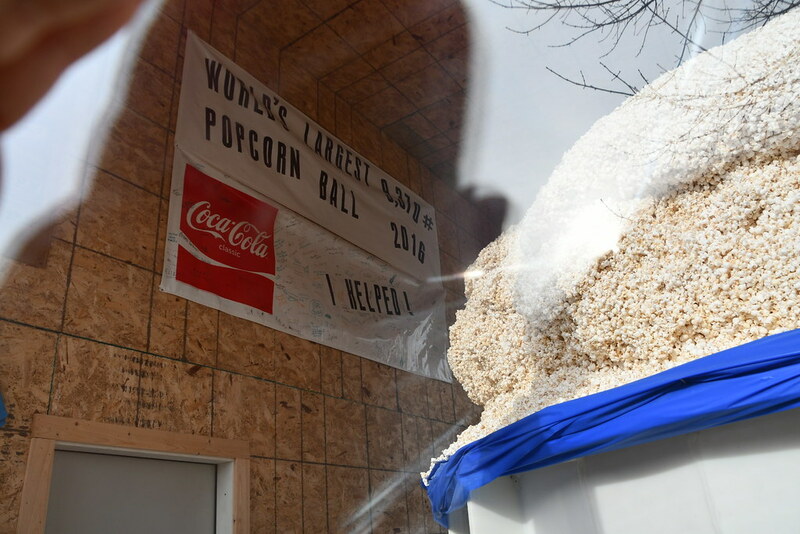 The world's largest popcorn ball was recently refreshed in 2016, to reclaim their title. 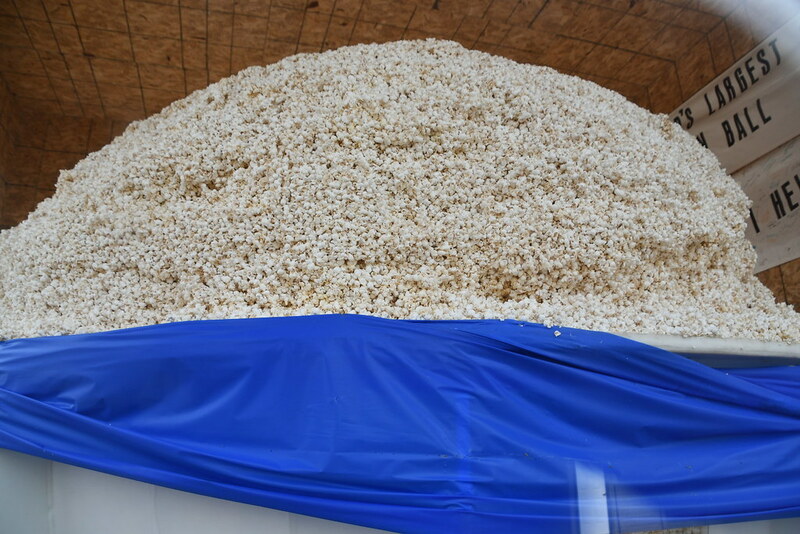 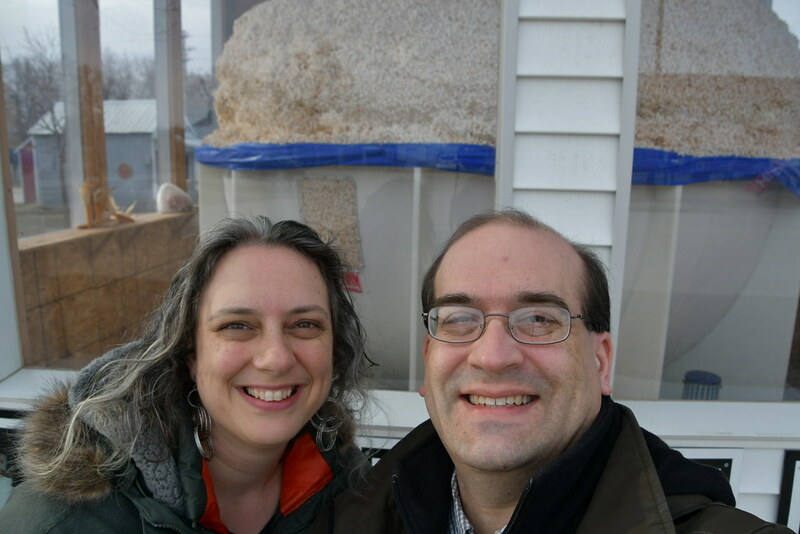 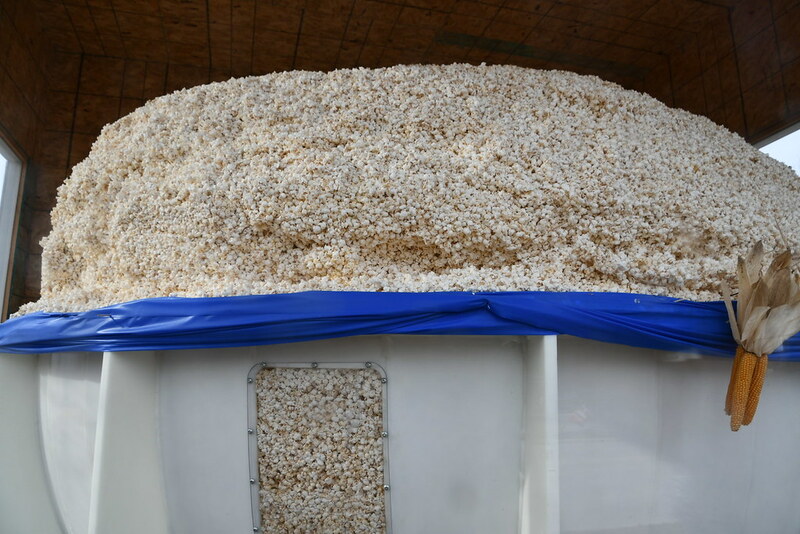 According to an article in the Des Moines Register: "They will mix 2,500 pounds of dried corn syrup, 4,900 pounds of sugar, more than 2,300 pounds of popcorn and just enough lecithin additive so that the 60-gallon batches will stick together yet not clog the popcorn plant’s machinery. 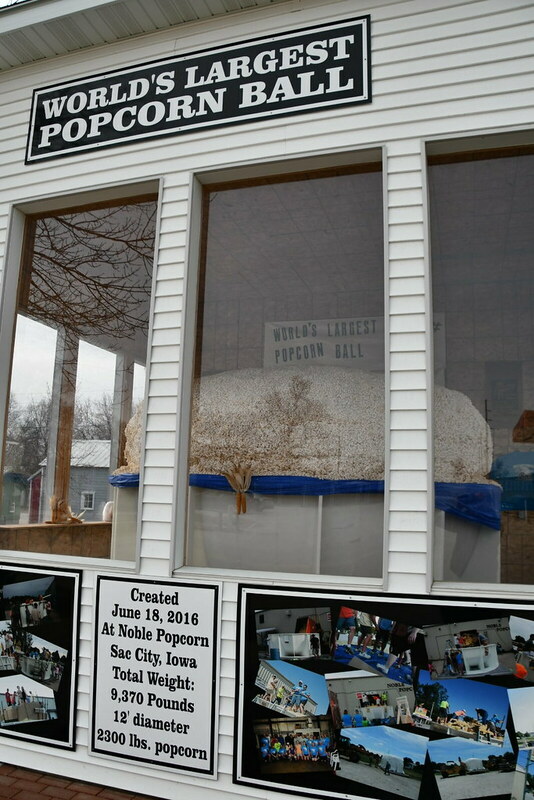 Factoring in water weight, the ball should surpass a massive 10,000 pounds"
The final result weighed 9,370 pounds and was certified the world's largest. 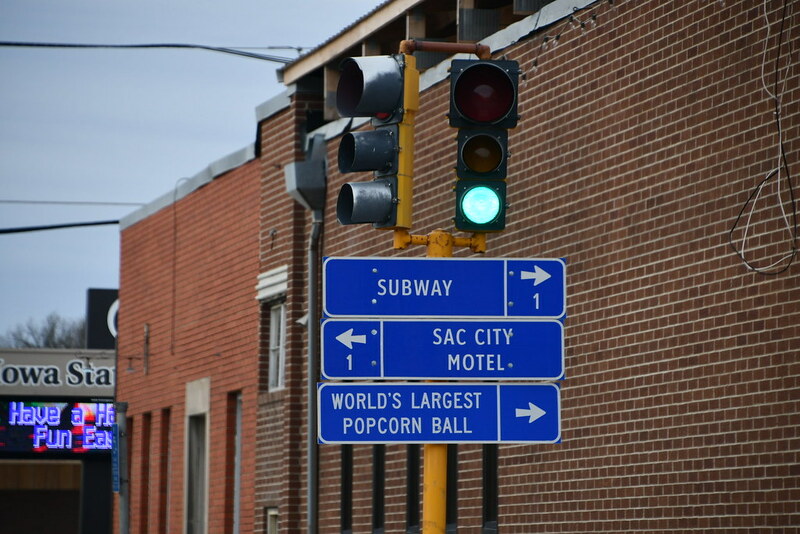 The route to take to arrive at the popcorn ball is clearly marked.